The magnitude of the Equifax data breach becomes more apparent by the hour. While 143 million potentially compromised credit files is a big number, it was apparent how big when millions of consumers tried accessing the special Equifax website set up to reveal who was potentially at risk. According to some consumers, the amount of traffic going to the site created problems with access. There was a spillover effect to the government's annualcreditreport.com site, where consumers may download their credit reports from the three credit reporting agencies once a year at no charge. So many people were doing so Friday afternoon that the site displayed a message saying the credit agency systems couldn't handle the traffic. Equifax is offering those who are at risk a package of protection and monitoring services. Consumers may sign up for free credit file monitoring and identity theft protection. The service, TrustedID Premier, includes monitoring of credit reports on Equifax, Experian, and TransUnion. It also includes full access to Equifax credit reports and the ability to lock and unlock those reports – controlling who can access them. Keep in mind, one of the conditions to receive this free service may be to waive your right to be party to a class action suit against Equifax, something some consumers might not want to trade. But it's clear that consumers need to do something in the short run and a growing number of security experts say monitoring is not enough. Joe Levy, chief technology officer at Sophos, a security software firm, says the safest thing consumers can do is place a freeze on their credit reports. That way no one can access your credit report without your permission. But writing on Sophos' company blog, “Naked Security,” he notes it's not an easy process. Here are the steps you need to take in order to freeze your credit. They have to be done with each individual credit reporting agency, and keep in mind there is a fee that must be paid, which varies state to state. Go to this website to create a personal ID that will allow you to start the process. For more information, go here. You can also call 1-800-685-1111 (NY residents 1-800-349-9960), but don't expect to talk to a human being. To freeze your Experian credit file, go here and complete much the same information you supplied to Equifax. The process is similar at TransUnion. Go here to create a personal ID and follow the directions for freezing your credit. Our friends at Consumers Union have compiled this list of state-by-state fees. 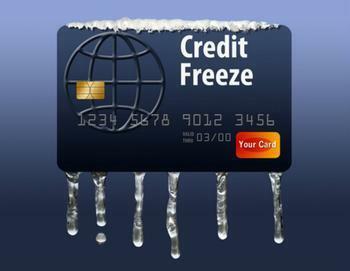 Remember, there's a fee every time you freeze and unfreeze your credit. Also, a freeze isn't permanent, it must be renewed from time to time.